You cannot move SharePoint wiki library from one SPWeb to another even inside the same site collection through web interface. Also you have no opportunity to save wili library as a template with data. 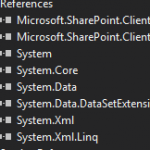 The only solution is to move SharePoint wiki library with PowerShell. 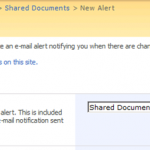 For a massive update of a SharePoint list items I didn't want users, who subscribed for alerts about changes in the SharePoint list, got the messages about it. There were 2 ways to do it: 1 - temporary to disable SMTP server (change SMTP settings to wrong ones) and delete files from Queue folder after; 2 – temporary to disable alerts for a list. This story is about the second way. 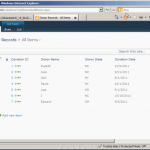 Below I write a powershell script to get the author and date of creation of SharePoint List. Today I have suddenly found out the new list. I was very surprised to see it and wanted to know who and when created it.